Legendary Pictures is giving fans a quick first look at Warcraft: The Beginning before it launches the full trailer at the end of the week during BlizzCon. 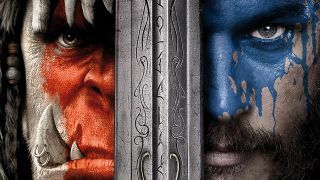 It's not technically our first look at the film; we got a look at Azeroth in VR during Comic Con San Diego, but this new teaser does showcase what we can expect. Even if it is just a very quick 15 seconds, you can see the beginnings of war, a human army, lots of different beasts, attacking orcs and some amazing effects. We don't actually get to see any character faces yet, nor any real indication of the actual plot, but it sure looks like a lot of fun. You can check it out below.